It’s funny how a simple tool can make such a big difference. I’ve been leaning the blocks against the edge of the ink slab to roll them. 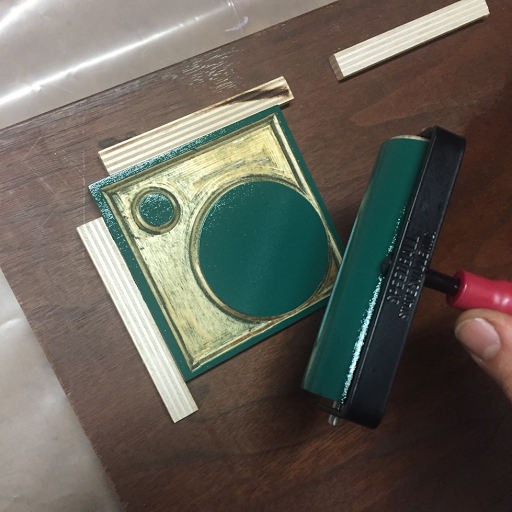 The angle was awkward and the height of the glass meant that I kept getting ink on the edge and besmirching the color on the brayer. The answer was simple! 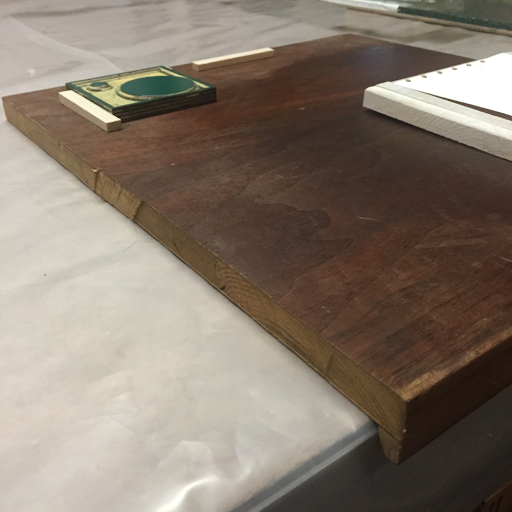 I glued a strip onto the bottom of a board to hold it against the table. Then I glued some scrap wood to the far edge to give the block something to rest against. I know that I don’t want to make another one when I roll larger plates, so I made sure that the strips on the far edge are wide enough to support them. Simple tools help a lot!